The courage we all admire, where ordinary people summon unexpected strength to run into burning buildings or to stand up to tyrants, whether an abusive father or an abusive leader, this inspiring and mysterious impulse to rise to a dangerous situation, which Hemingway referred to as grace under pressure, grows from another kind of courage—inner courage. By inner courage, I mean the ground of quiet braveries from which the more visible braveries sprout. These are the ways of living and being that make bravery possible in the first place; not just as an event, but as an approach to life, as a way of life. 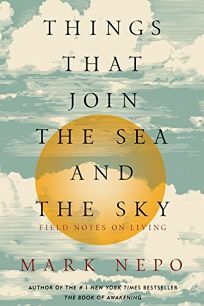 This book is devoted to exploring those quiet braveries, in an effort to understand not only what constitutes courage in its deepest sense, but what is the soil in which it is seeded, watered, cared for, and grown. Thinking about courage in this way opens us to an array of small and constant efforts that no one ever sees, but which have changed the world: the courage to face ourselves, each other, and the unknown, the courage to see, to feel, to accept, to heal, to be. Efforts of this nature often go unnoticed and unrecognized. Like the courage to break life-draining patterns and let the story of our lives unfold, to stand by one’s core, and to persevere through the doorway of nothing into the realm of everything. Like the courage to choose aliveness over woundedness, to remember what matters when we forget, and to build on the past instead of hiding in it. Like the courage to choose compassion over judgment and love over fear, to withstand the tension of opposites, and to give up what no longer works in order to stay close to what is sacred. These subtle yet essential states, and more, make up the elements of living, and so, it serves us well to explore how they grow singly and together. This is an education I never had in school, but which life has been shouting for as long as I can remember. This is an education of what matters. Pained by war and aware of injustice in the world, we are in need of wisdom, hope, encouragement. Mark Nepo gives us all of that in this poetic, profoundly thoughtful rumination on how we might live. 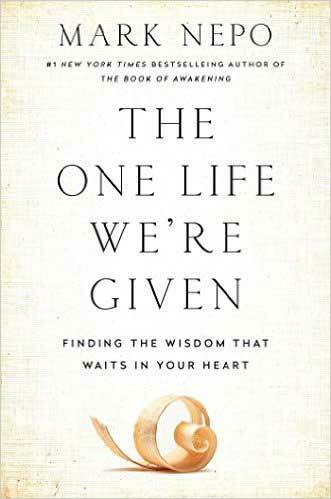 What makes (this) book valuable is Nepo’s quiet understanding of the constant interplay of surface and depth in our lives, (and) the need to let go of judgments and exercise compassion as we view our own flaws and the flaws of those around us. What an extreme delight to be engaged with this writing that issues from the heart that thinks and the mind that poeticizes! How rare it is these days to find truly original writing and, even more, thought that has moved way, way beyond and beneath and above the kind of spectator consciousness that characterizes most writing. 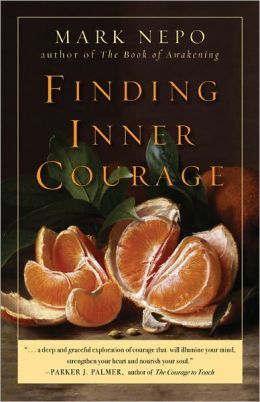 Finding Inner Courage is one of the handful of books I cherish. 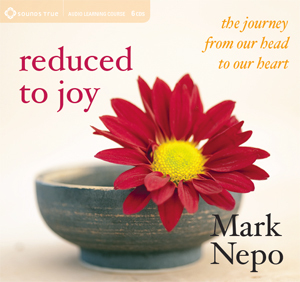 Mark Nepo is a rare being, a poet who does not over use language, a wise man without arrogance, a teacher who always speaks with compassion, and an easygoing love-to-listen-to-him story teller. Finding Inner Courage is a collection of delicious essays. A feast for the spirit.